The photo album portfolio website web template will match up with web projects that need to make a pro and reputable online presence. 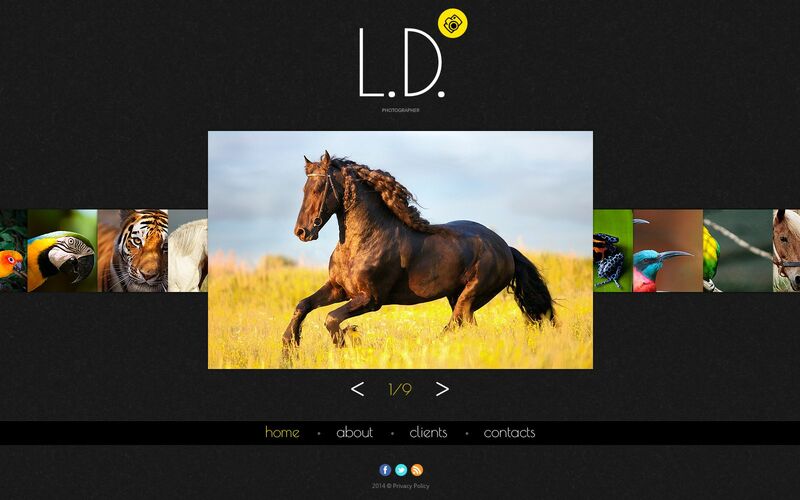 100 % responsive, cross-browser compatible and SEO-optimized, this impressive photography portfolio website template can be used for pro photographer or professional photographer websites. The fully responsive template will adapt to any display resolution. Utilize this template for a clever and effective presentation of your website online. If you have any questions regarding theme use you can check out detailed documentation, also you receive 24/7 priority support aiding to eliminate any problem. Take advantage of this web template for your web resource that will address to as many hobbies and age ranges as possible.